We sing for joy! We sing for life! We sing to build community and to bring more harmony into our hearts and our world. Drop-in anytime or join us as often as you can! 1685 W 13th (corner of Chambers and 13th). 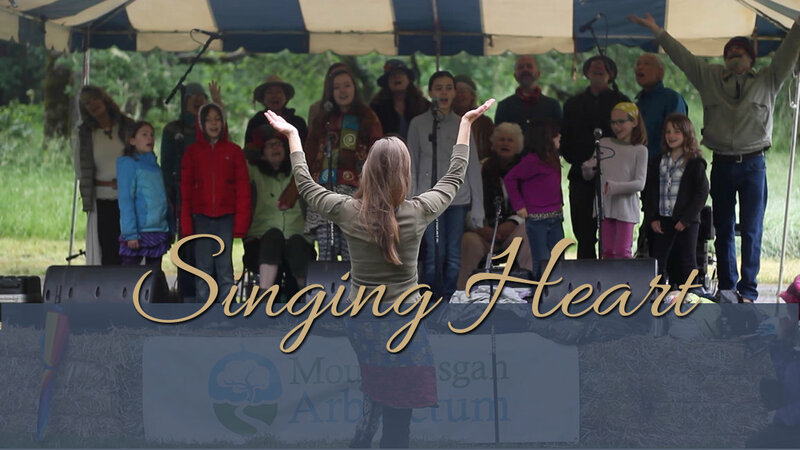 Your offerings support Singing Heart as a community and Karly’s livlihood as a song leader. If you’d like to donate to our scholarship fund or offer skills such as editing, photography, videography, web support, or graphic design, please contact Karly! Your offerings support Singing Heart as a community and Karly’s livelihood as a song leader. If you’d like to donate to our scholarship fund or offer skills such as editing, photography, videography, web support, or graphic design, please contact Karly! Learn songs through call and response. Sing heart opening, life-affirming songs that are easy to learn and relate to. Many of our songs are layered in parts or sung in rounds so that even inexperienced singers can enjoy instant harmony. Experienced singers are encouraged to bring the harmonies they hear or to offer the strength of their voices to support the whole. Every voice matters when we come together.